Satyabrata Patra from Bhubaneswar, B.Sc Graduate. 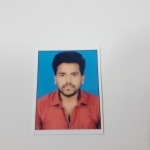 Satyabrata Patra is Job Savvy Person and currently have no work experience. MICRO BANKING COMPUTER BASIC SKIL..
are one of expert skill area's of Satyabrata Patra . Satyabrata Patra is working in IT Software industry.